Could just be the Carbon Fiber Brake levers, but there's so much more to it. Continuing the Shimano XTR legacy as the industry's original premium cross-country racing mountain bike component group, Shimano introduced a new lightweight XTR component and wheel additions that elevate the performance for elite cross country racers. 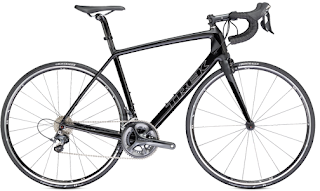 For 2014, Shimano XTR M980 series will see the addition of new lighter weight hydraulic disc components, new drivetrain components including a lighter bottom bracket and more durable chain, as well as ultra-lightweight carbon tubular 29" mountain bike wheels. The Shimano XTR M980 group is the first mountain bike component range to have two separate complete groups (race and trail). There's the rider tuned concept that allows riders to mix and match drivetrains, brake systems, wheels and pedals for the way they ride. Shimano introduces new XTR Race products specifically designed to reduce weight, increase efficiency and provide a winning edge for the world's best cross country racers. 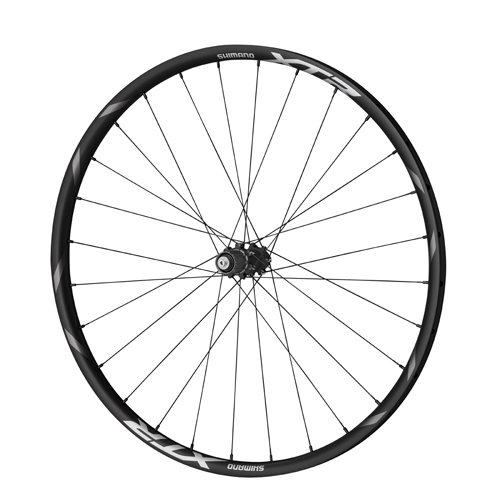 Designed for and proven at World Cup and Olympic cross country mountain bike competitions, the new limited edition XTR WH-M980 carbon tubular 29" wheels set a new industry benchmark for carbon 29" wheel performance. 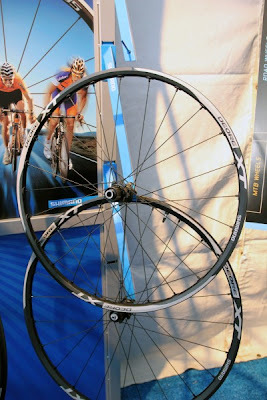 Strongly supporting 29er geometry, Shimano is only offering the XTR WH-M980 is a 29er version. While tubular wheels may be expensive and difficult to deal with, they offer real world tangible benefits. 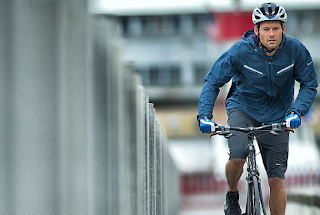 The way they climb, accelerate, and corner are noticeably different from traditional wheels. With no bead, the tire profile becomes more round which really changes how the tire handles. 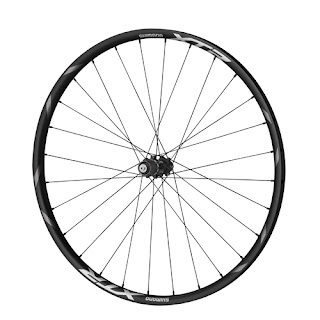 Featuring a super light weight full-carbon offset rim that tips the scales at an anorexic 290 grams and 29 spokes laced to a quick engagement freehub body for perfect traction, these wheels give away nothing. WH-M980 wheels will be offered exclusively with Shimano's splined Center Lock rotor mounting for easy and quick installation. 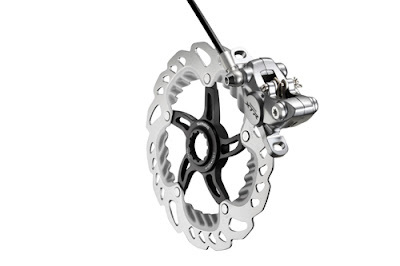 Shimano debuts its lightest hydraulic disc brake system ever to the XTR line. Shimano concentrates on 3 things with their brake development: power, stiffness, and heat dispersion. Shimano uses an internal power level rating system and the new XTR maintains the Shimano tradition of powerful yet manageable brake engagement. Maintaining stiffness is a key component of modulation. 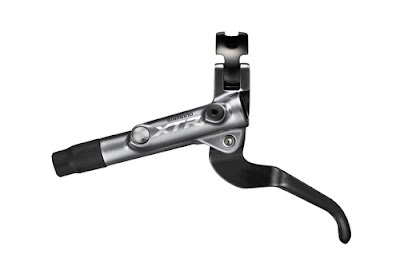 The new XTR has a magnesium caliper, magnesium master cylinder, and a carbon fiber brake lever. (A first for shimano!) These are lightweight, high performance brakes. For heat requirements, Shimano uses their ICE technology of making a rotor that has 3 layers with the center layer being aluminum to draw heat. The new finned section comes from technology developed in the SAINT line of products. So now a 160mm rotor draws/disperses as much heat as a 180mm rotor used to. The new XTR brake also has a high powered hose, two piece caliper construction, banjo bolt that flows oil and keeps the two pieces together. The SM-RT99 reduces heat by an additional 40 degrees. The XTR hubs have been improved this year as well, with improved seals, a titanium freehub body, and QR or thru axle options. The XTR press fit bottom bracket is lighter and works better than last year. 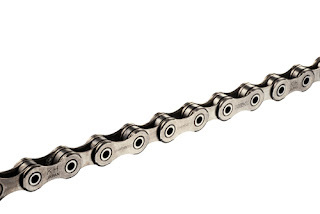 Stronger sealing and less rotational drag are a few more improvements to the the XTR system. Thanks for taking this opportunity to talk about bike wheels this, I feel fervently about this and I enjoy learning about this topic. Please, as you gain facts, please update this blog with more information. I have found it enormously useful.